Whether you are managing your own investment portfolio or a private or public institution looking for investment vehicles for their pooled cash accounts to earn a better return than a bank account, we all directly or indirectly deal with brokers or dealers in the investment world. In this day and age, more and more investors are turning towards online platforms to customize their investment portfolios and look for investment choices that best fit their needs. A broker or dealer is even more necessary in the municipal debt markets where an investor seeking municipal debt as a potential investment must contact one to get any pricing information on a buy or sell transaction. This is primarily due to the non-standardized and decentralized nature of the municipal capital markets. In simple terms, there are over 1 million municipal debt instruments outstanding at any given time and each debt could have a different structure. This warrants a need to have broker and dealers in the markets to facilitate trading. In this article, we’ll take a close look at the broker/dealer role in the municipal debt markets, various ways in which brokers can manipulate investors and some way to help investors protect their interests. Before we look at the mechanics of a municipal debt transaction, investors must be fully aware of the firm – either broker or dealer – and their role in the trade execution. Let’s look at the following example to understand a firm’s capacity in executing a client’s trade. Suppose a client goes to XYZ firm seeking to purchase a particular municipal debt instrument. If the firm is acting as a broker, it is simply taking a client’s purchase order to market and helping him or her fill the order for a commission or fee. However, when a firm is acting as a dealer, they are filling the client’s order themselves, meaning that if a client goes to XYZ firm to sell his muni debt instrument, the firm will buy (i.e. fill) that order by purchasing those instruments for the firm’s own account and can resell them later. This also means that a dealer is acting in a principal capacity (i.e. as a market maker) and charges a markup or markdown when executing a transaction. In either capacity, brokers and dealers are playing an integral part in the transaction execution. As mentioned above, the municipal debt markets still operate under a decentralized structure, which means that independent investors are highly dependent on their brokers and dealers to execute their trades at the right prices and look out for their best interests. Brokers and dealers often use a system where multiple brokers and dealers can provide quotes for bond transactions they are interested in buying or selling, also known as the Alternative Trading System (ATS). In theory, this creates a competitive environment for the individual investor looking to buy or sell. Check out our article on the benefits of the all-to-all trading system here. However, there are ways dealers can potentially take advantage of their retail customers. There are the 3 key scenarios that muni bond investors need to be aware of while sending their next trade order to their brokers and dealers. This practice is still prevalent in some of the dealer trade executions and can be quite costly for investors looking to buy or sell a particular security. As mentioned above, in an ideal situation, when a dealer is to sell a bond on its customer’s behalf, the dealer can host bids wanted on an alternative trading system and sell the bond at the highest bid, which will serve the client’s best interest. However, there is a loophole; since the dealer has access to see all the bids coming in for their client’s security, they are very well aware of the highest bid. However, instead of informing the client about the highest bid, the dealer will buy the bond as a principal from their client below the highest bid price and keep it as inventory. The dealer knows that they have bought the instrument for less than the actual highest bid, and there is potential for them to later resell that security and make a profit. Be sure to check out our previous article here that explains how to avoid overpaying for individual munis. While partaking in the ATS, both the brokers and dealers can potentially filter out some of the bids coming in for a particular security they are trying to buy or sell for their investor as long as they have a valid reason not to transact with a particular counterparty. However, the reason to not transact with a particular party is loosely monitored by the regulatory authorities. Therefore, dealers can unethically use this method to weed out the highest bids under false pretenses, and the dealer can execute that trade from its inventory at a lower bid. This also means that the customer will have to sell or buy the new security at an unfavorable price and without even knowing that there could have been higher offers. This tactic may not be as harmful to individual investors looking to buy or sell as the previous two tactics. But it certainly goes against trading fairness for other individual buyers or sellers in the market. 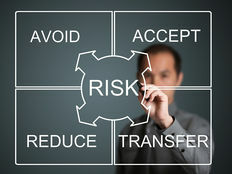 Under this technique, a dealer reviews all the bids offered for the debt instrument an investor is looking to sell, and instead of selling the bond to the higher bidder, he or she acts as the principal and creates their own bid, slightly higher than the highest bid, and purchases that security for their own inventory. Although the investor selling the particular security got the highest bid and it worked in his or her favor, it was still an unethical practice due to the unfair treatment of the other buyers or bidders. The dealer has an unfair advantage to look at all the bids and offer a slightly higher bid to win the business. Not sure how to go around looking for the right muni bond? You can check our newly launched Municipal Bond Screener to explore muni bond CUSIPs across the U.S. based on custom parameters including issuing state, insurance status and a range for different bond attributes such as maturity, coupon, price and yield. 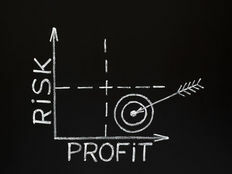 For the most part, all capital markets function under the direct oversight of the Securities and Exchange Commission or other regulatory boards like the Financial Industry Regulatory Authority (FINRA), but there are still plenty of loopholes in the industry that may not be favorable to investors. Hence, investors must carefully analyze their investment holdings, understand the broker or dealer relationship when executing a transaction, assess the overall demand or supply of their desired investment instrument, and review their broker or dealer’s record before performing any transactions. 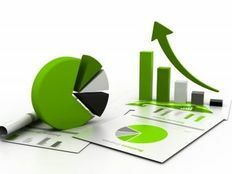 Investors must consult with their financial advisors and consultants on their holdings, and it’s important to understand the risk assessment and gauge the market interest of any fixed-income instrument that you buy or sell in the future. Disclaimer: The opinions and statements expressed in this article are for informational purposes only and are not intended to provide investment advice or guidance in any way and do not represent a solicitation to buy, sell or hold any of the securities mentioned. Opinions and statements expressed reflect only the view or judgment of the author(s) at the time of publication and are subject to change without notice. Information has been derived from sources deemed to be reliable, but the reliability of which is not guaranteed. Readers are encouraged to obtain official statements and other disclosure documents on their own and/or to consult with their own investment professional and advisors prior to making any investment decisions.